wpDiscuz is THE most powerful and versatile comment reply notification plugin available. It has a ton of settings and features. But, all that versatility can seem overwhelming to make the plugin work like you want it to, especially one that could be confusing for your commenters. Discover the feature list and recommended settings I use, and why, in this tutorial. I want to send a huge shout out and thank you to webmaster and designer Michelle Phillips of Codefetti for her invaluable help with the settings on this plugin during the head-to-head tests. wpDiscuz was a top winner in my head-to-head tests of comment reply notification plugins. The features list on this plugin is super long, and I suggest you visit its plugin page in the WordPress repo for all of them. But, here’s the shortlist of the features I find most valuable. Not only does this plugin have a ton of built-in features, it also has 16 paid add-ons available. I was a little put off by this plugin pushing those add-ons at me immediately after installation, and during the setup process. But, if you need those extra features, then you’ll be glad to know what’s available. Let’s discuss the features shown here, because you’ll likely want to change a few of them. 1. This is the one and only feature that keeps me from using this plugin on my site. For commenters to have a variety of choices in the types of notifications they receive, they have to input their email address above the comment. That’s super odd compared to the native WP comment form, and how all other reply notification plugins work. I think it’s confusing to commenters and they will tire of having to input their email twice. 2. This entire section (below the Join the discussion field) does not appear until a visitor clicks their cursor in the discussion field to begin leaving a comment. As you can see, it contains the usual name, email, and website fields. 3. The Code box, and the CAPTCHA code next to it generated THE biggest complaints. Everyone hated inputting the CAPTCHA on every comment and reply they made. Mobile users voiced the loudest complaints due to auto-correct on their spelling and it trying to make a word out of the CAPTCHA code. 4. The subscribe box is not turned on by default. One of the super nice things about this plugin is that it picks up your theme’s color scheme and applies it to all colored elements of the comment box. On my test site, the primary theme color was green. 1. Commenters can elect to sort the comment thread by newest, oldest, or most up voted, if that feature has been turned on. This is super handy so that return viewers/commenters can see the latest comments without having to scroll to the bottom. I suggest you leave this feature on. 2. Comments can be shared directly on social media, or you can easily copy the link. 3. If you run a member site or have moderators for your comments, then you may want to include labels below the Gravatar so folks know who is leaving the comment. It labels in accordance with the User Role on the site, like Admin and such. For non-member sites, it would be best to turn off this label. 4. If you run a site where folks can ask questions, the up/down voting feature might be a real bonus for you. That way visitors can help determine the most important questions/responses they want to see a reply on. Otherwise, you might want to turn this feature off for just general comments, as I didn’t find that it worked quite the way I was expecting anyway. In this section, I’ll share with you the settings I changed to radically simplify the comment form, as shown below. 2. Subscribe checkbox on by default, and no extra email field required. There is a caveat with simplifying this way. Subscriptions are all or nothing. Commenters can’t elect to subscribe to replies only to their post with this setting. That would require the additional set of fields above the comment box (shown in the default settings image). If you have fewer than 15 comments per post, this simplified version would likely work fine. If you have over 15, then your commenters might feel overwhelmed getting all those notifications and will likely unsubscribe from comments on that post all together. 3. Sort by old/new, with up/down vote option removed. You will see a row of tabs across the top for the different setting areas. Click the Default Form in the list. Set radio button to No for Enable subscription bar. This turns off the extra email and subscription choice fields above the regular comment field box. Instead of the default CAPTCHA, you may want to consider using one of the plugins that wpDiscuz natively integrates with to protect you from comment spam. WPBruiser is what Michelle recommends, but there are several other popular ones as well. 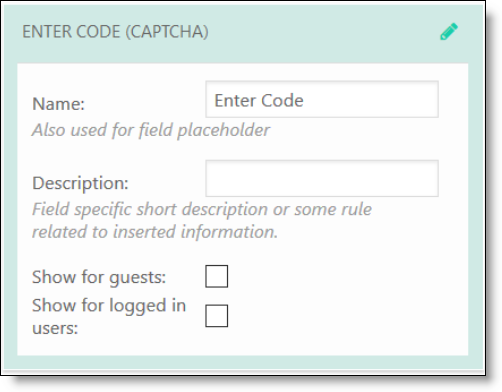 To turn off CAPTCHA, in Comment Text Field – uncheck Show for guests and logged in users to turn off captcha, as shown below. 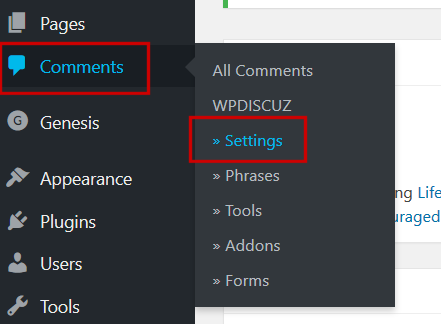 This is one of the best features of wpDiscuz that serious tribe building site owners will enjoy. You can elect to redirect first-time commenters to a special page. It’s a great way to virtually thank them for engaging with you, and a great way to introduce them to more of your content ,and/or email optin, and/or special offers. Since you create a regular page to redirect them to, the sky’s the limit with what you can put on it. First, create your custom page. Make note of the title. Scroll about half way down for the “Redirect first commenter to” section. Select your newly created page from the drop-down. Lazy load Gravatar images is a super speed setting that is unique to wpDiscuz. If you get a lot of comments on your site, bringing all those Gravatars in from the outside is a serious performance drag. wpDiscuz offsets that problem by only allowing a few to load and then requiring folks to scroll to see the rest of the comments, and their associated Gravatars. There are other plugins that offer lazy load features, like WP Rocket, so be sure you don’t have that option turned on anywhere else before you set it in wpDiscuz. There are a TON of customizable settings in this plugin. Too many, in my opinion, it’s overwhelming. And there are way too many to cover in a single tutorial. But, for those who want to personalize every message their visitors see, you’re in luck! So, poke around and see all that you can do with this plugin. The settings I’ve shown here should get you off to a super start with it. Thanks so much for the shout-out :) And your tutorial is super clear for first-time users. I agree that all of the options are a bit overwhelming, but the plugin does its job nicely!